​Chavonn Williams Shen is a Minneapolis native and an educator. She was a first place winner for the 2017 Still I Rise grant for African American women hosted by Alternating Current Press and a 2017 Pushcart Prize nominee. 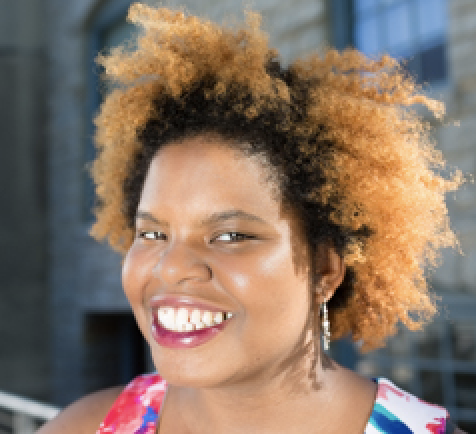 She was also a 2017 Best of the Net Award finalist, a winner of the 2016-2017 Mentor Series in Poetry and Creative Prose through the Loft Literary Center, and a 2016 fellow through the Givens Foundation for African American Literature.. Her poetry has appeared in Footnote #4: A Literary Journal of History, A3 Review, and The Coil. Writing has shown Chavonn to use art to explore new worlds, build communities, and advocate for the marginalized. She is currently pursuing her MFA in creative writing at Hamline University. Chavonn's photographer is Min Enterprises.